Sorry for the big picture i m using my phone. I just bought a 2004 petite little Friar few days ago! They say she is the same sculpt as Gabriel except for her elf ears. She doesnt even have S hook and her feets and hands are held by strings. I will post picture once she finish her faceup! That's a great find! Where did you find her? I can't wait to see pics!! 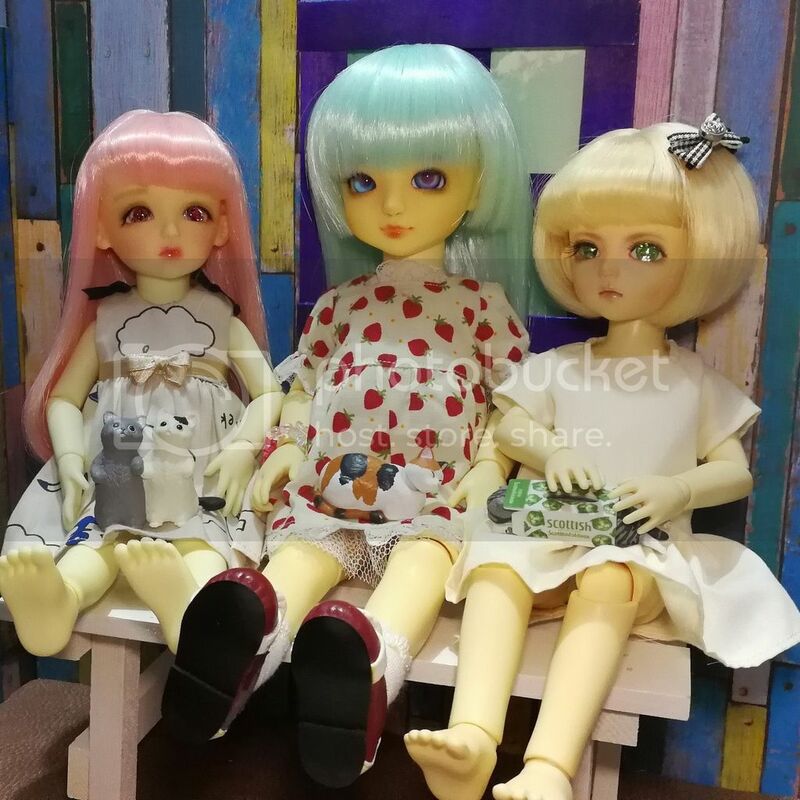 Hello, i found her in my local buysell app, her owner giving up hobby and i got her in her original box, customhouse postcards and some of her original outfits for $73usd. But she yellowed greatly and i soak her in colour bleach for 2 days and managed to lighten her abit. Will post picture once she is back from faceup. Yay! super great find and price Coco! All of my Customhouse have yellowed, but it is an even yellowing so it doesn't bother me much. Also, though, mine have a build-up of MSC on them that if I gave them a good scrub and maybe a little light sanding it would come off. I haven't ever tried it, but I have the supplies to try the DeZombification for yellow dolls, adding red pigment back in. Wow! I will try it when my doll is back, thank you. CustomHouse the AI classic Sariel カスタムハ... - ヤフオク! OMGOSH! She is beautiful! But she is way above my budget. Thank you for the link. @kitten Thanks for the link! She is adorable! My Petite Hanael arrived the weekend, and I just ordered her some clothes, when they get here, I will order her a wig and shoes too. She is slightly taller than my Volks Yo-SD Mimi, but I think she can wear same size clothing. My petite little friar is taller than my ange ai, even the body is much bigger. Will post once she is back from faceup. Yep, and petites are larger than the luts honey delf, too. I ordered a honey delf raphael and was disappointed in the size difference a little. I'll take some pics a bit later. Love your kids @Coco loh! They are adorable! Thank you! I want to see them! @Coco loh She is very pretty! I wonder if someone knows where to find Petite Ai outfits on yahoo Japan but not too expensive prices...?? Thanks? !